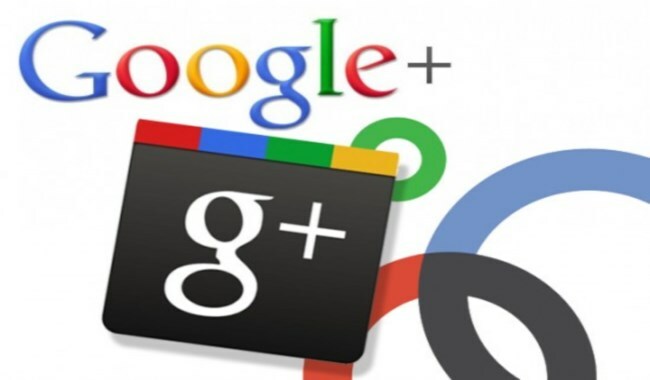 Is Google+ Still Relevant For Physical Therapy Clinics? There are many who feel that Google+ is no longer worth spending time on, but it can still prove to be useful for Physical Therapists looking to network in the local area. Let's take a look at whether or not Google+ is still a relevant way to market a PT Clinic or if your time and attention is better directed elsewhere. One of the main reasons why Google+ is still something that physical therapists should care about is that Google integrates all Google+ posts into search results. For example, if someone types your physiotherapy clinic's name into Google, your Google+ profile will be pulled up on the search pae along with some of your most recent posts. In addition, whenever anyone searches something on Google, the results will show Google+ posts from people they follow. So, if a local person searches for 'physical therapy' and they are following you on Google+, they will see your posts highlighted. Not only does this lend you credibility, but it shows that Google+ still very much influences Google SERP. Another great feature of Google+ which is incredibly useful in marketing your physical therapy services is Google Hangouts. This feature allows you to easily host and record webinars and share them with your Google+ and YouTube followers very easily. This is a great way to engage with followers as it can be used to share information and even to demonstrate exercises. The YouTube integration is very useful since having a regularly updated channel is going to increase your Google+ visibility since new videos are automatically shared. Video marketing is one of the most effective ways to get your message out there, so it is well worth making use of this particular aspect of Google+ to help market your clinic. Perhaps the most important aspect of Google+ for a physical therapist is the local reviews. In fact, Google+ Local Pages are a very important marketing tool for local businesses serving a certain geographical area. This is because the reviews are fully integrated into not only Google search results, but also Google Maps and mobile apps. When it comes to finding a local service, most people will do a search in their mobile device to locate the closest one. If you have a strong presence on Google+ then you will become much more visible in this type of search. Local SEO is becoming an increasingly important part of marketing a local business like a physiotherapy clinic. In short, despite the near monthly proclamations that Google+ is dead and that it is no longer relevant, there are still plenty of benefits associated with the platform when it comes to marketing your physical therapy business. Much of the uncertainty comes form the discrepancy between the number of Google+ accounts and the number of active users. The key thing to remember is that everyone with a google account is automatically given a Google+ page, even if they never use it, so the high numbers of so called abandoned accounts do not really mean anything. It is better to focus on the benefits that Google+ has to offer rather than the number of users the platform has. If your physiotherapy business needs help with marketing on Google+ and other platforms, then take a look at some of the features that PatientSites.com has to offer you. It has never been easier to get your clinic noticed!